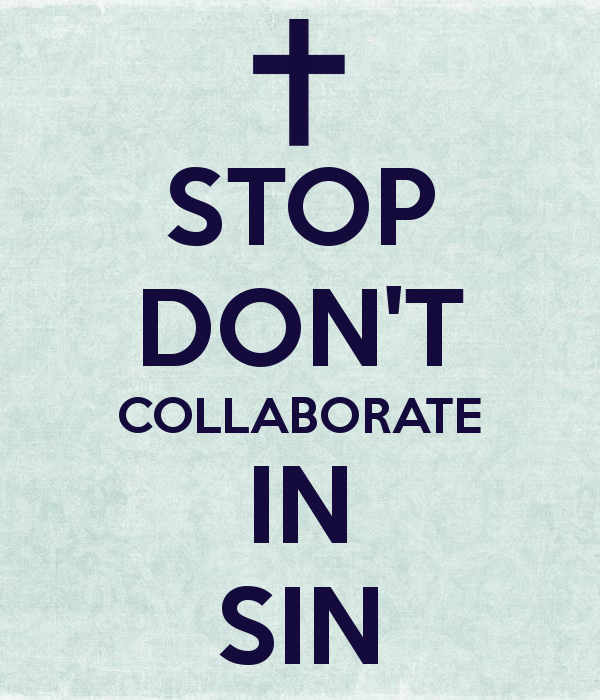 Myss Lafunky's Blog: As a Christian, Can I Collaborate In Sin? How are you doing? How is your new week going? I would like to remind you to always give thanks to God for life because it's a gift of immeasurable value from Him. Do you know that some Christians believe that it is okay to collaborate in sin (wrongdoings against God's Word) especially if they were instructed by someone who appears to be matured in faith than them, or perhaps their Christian leader or their spouse? Collaboration is action of working with someone to produce something. 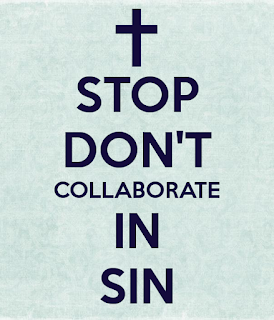 God has been generous with us by not withholding information about what would happen if we collaborate in sin. In the case of Ananias and Sapphira in the Bible, with his wife's full knowledge, Ananias kept back part of the money for himself but brought the rest and put it at the apostles' feet and when he was asked by the apostle if the money that he gave was a true reflection of the money he had, Ananais lied and he immediately died. His wife was not present when her husband was asked so when she was also asked by the apostle, she lied and she immediately died. I know some of you may be thinking that God's judgement towards Ananais and Sapphira was harsh but God used Ananias and Sapphira to set an example for us to know how He detests sin as well as collaborating in sins. You may have collaborated in sins and not have immediately died, praise God for His mercy! BUT God wants you to completely refrain from this behaviour. Always purpose in your heart to please God in all your ways. Check out what the Word of God says about the action that you are about to collaborate in. Identify temptations to which you are vulnerable and which might cause you to collaborate in sin. Start thinking of ways not to fall into it and ask God to help you. Think of the consequences of the sin and the impacts it would have on you. Remember that there are no justifiable excuses for collaborating in sin irrespective of who the person is or what the task is. Collaborate in the things that are pure, good, lawful and in line with the Word of God (Bible). Always purpose in your heart to please God and ask God for the wisdom to deal with others.